For the cost of one or two lessons with your local guitar teacher, you can access this whole online course. The value is truely amazing, and it will give you a great insight into whether or not learning the guitar is for you. The entire course if you choose the download version is currently available for a discounted $39.95USD. 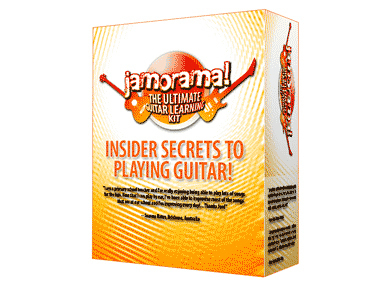 We highly recommend this as a great starting place for learning to play guitar. This course is more in depth than Jamorama, and because of this is more expensive. This course is led by a team of guitar professionals each specialising in a different style of guitar. This style of teaching is great because you get to experience more than one teacher. This course is available to download at $97USD, or for a physical shipment of books and CDs at $213.95USD. Because of the big difference in price, we recommend the download version. 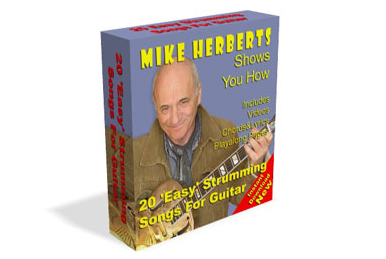 Mike Herberts "Shows You How"
Mike Herberts has a lot of experience teaching the guitar. 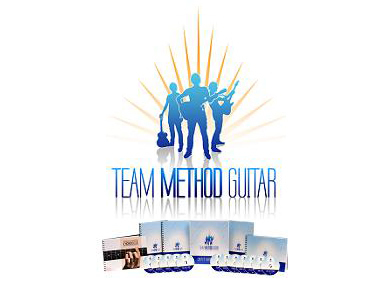 He essentially offers three products online: Two strum along guitar courses each teaching you how to play ten popular songs, and a dedicated Beatles acoustic guitar tutor that teaches you five of their best loved songs. The two strum along programs cost $39.97USD each and the Beatles collection $29.97USD. There is some overlap in songs, but this would be a great set for busking with your old acoustic!